This past April, video allegedly showed staff at an Oklahoma school putting hand sanitizer in a three year-old's mouth. 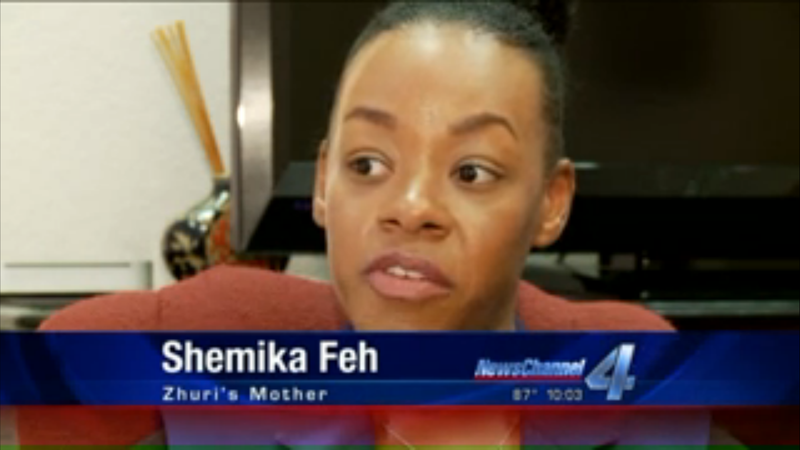 Now her mother, Shemika Feh, is fighting for justice. The incident occurred at Liberty Academy, a private Christian school in Shawnee, Oklahoma. A worried teacher recorded the video and told parents the hand sanitizer was used as punishment. Shemika Feh, mother of three year-old Zhuri Feh, is calling the DA's office every day, demanding authorities take action against the preschool staff, employees, and directors involved.